On behalf of Celiana Torres would like give a huge thanks to Dr. Cole and Staff throughout the entire process. After surgery things were not easy. It was not only the discomfort from surgery, but emotionally Celiana would cry by just thinking that she might not be able to play and perform as she did before the injury. Celiana said after seeing Dr. Cole on each appointment that he would �say something positive and motivate her more� which made her feel confident that she would return to high level soccer once again. Throughout the whole process she mentioned that with the support from Dr. Cole, his staff and the therapists, a negative was turned into a positive!. At her soccer club, a similar situation happened to a team mate. The coach asked me if it was ok for the parent to call me to ask me a couple of questions in regards to Celiana�s surgery. They were amazed of the recovery and performance on Celiana�s surgery and immediately called and set up an appointment. 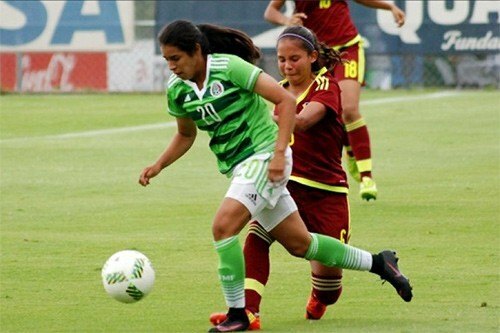 In the end, we were excited to hear that Celiana was selected to participate the World Cup in Jordan this coming Sept. 30th representing Mexico�s U17. Our friend has created a fund me account to see if my husband and I can travel to Jordan and be able to live this dream and accomplishment with Celiana and show her some support when she is on the field.